Did you know that we don’t just film video? We edit video too! We just love getting the detail right. So if you already have footage but are finding the video editing process rather daunting, or you want to make a change or update to an existing video, why not give us a call or even pop in and see us? Our hourly rate of £60 + VAT means that whether you need 1 or 21 hours of edit time we can accommodate your corporate project. With six on-site edit suites running Adobe Creative Cloud we always have the resources to turn round projects on time and against the clock when required. Our offices are only 5 minutes from the A3 at Milford and we have plenty of on site parking. You’ll find our editors are very easy to work with and we are opposite a lovely country pub should your video edit take you over lunch. If however you prefer not to sit in and watch, you can leave us your requirements and we’ll just get on with making your video just the way you imagined. Voiceover and music can be arranged if required. We accept various video formats and can output footage depending on your needs whether for DVD or web or mobile. 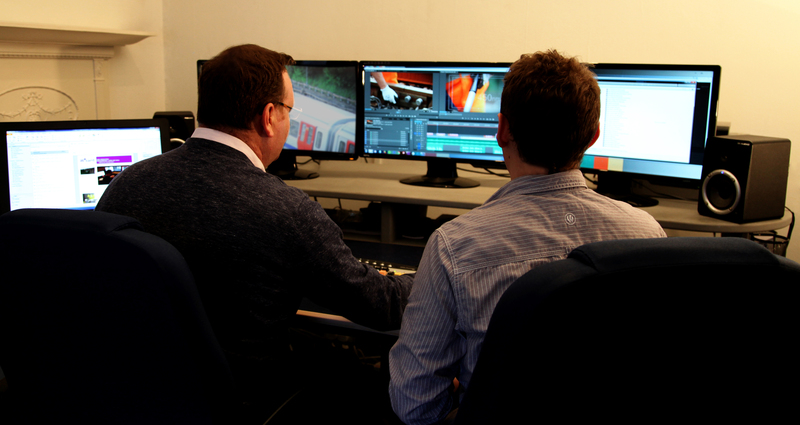 We can also provide on location editing when required. Here’s an example that really shows what can be achieved on a comparatively modest budget, when you bring together great passion and a bit of creative cutting in the edit suite! Peter from PGH pest control dropped into Wizard for the day to edit together some of his own footage that he has been filming over the last 12 months as he goes about his work as a pest control specialist. Whether Peter’s 90ft up in the air on a cherry picker, or dangling off the side of a rooftop covered in a thick swarm of honeybees, he’s got his camera rolling, and we had great fun snipping all the choice shots together for some great new videos for his website. To complement our filming and editing we also have full production facilities in-house for DVD duplication, printing, packaging and fulfilment services.